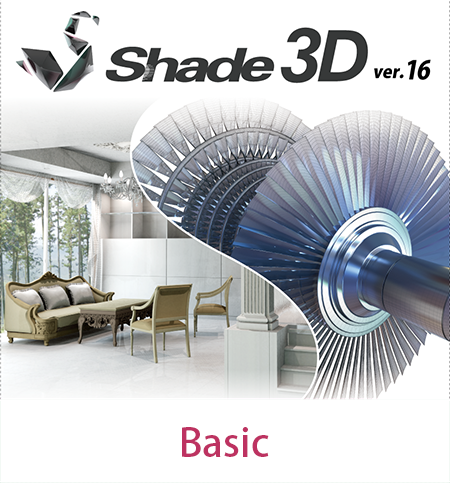 Shade3D Ver.19 English Version is now shipped. To find out more information about this new product, visit our page at >>here. *Products are available in English language only. *All services included user support, product registration, upgrade to newer version and cross upgrade to higher level are target to English version only. We don't provide option to upgrade English version to Japanese version. 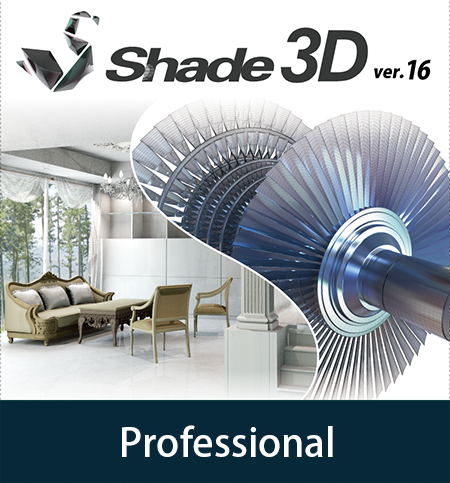 Purchase One Year Subscription of Shade3D Professional version! Access our One Year Subscription page and learn more about the benefits of subscribing to this offer. Three versions of Shade3D are available to suit any budget or purpose. To find out what the differences are, please see the Features Comparison Table for more details in Shade3D ver.16. The Basic version contains all the essential 3D tools for modeling, rendering, animation, 3D printing or creating characters or props for your own game. The Professional version is the Ultimate tool for 3D modeling, rendering and animation. Included all the features from Standard version plus many more. For more information concerning our *Refund Conditions, please read the text below. - For any request concerning a refund, Shade3D Co.,Ltd. needs a proof of sales (with problem such as "double orders", "Mistakenly ordered or upgraded" may consider for a refund). - The time limit of refund is three (3) months after the customer has made the payment. - The proportion of refunded amount based on time limits is : 100% of transaction amount within a month (1 month) and 80% for more than one month. - The refund method is made either via a deposit on the customer's PayPal™ account or directly by bank deposit. Note A: 1 month means within 30 days after user purchased and received the confirmation email from our store with the serial number and download information. Note B: Our EULA doesn't provide 30 days money back policy, therefore, without a good reason as shown in the Refund Conditions, we shall not provide refund. Note C: This apply to PayPal™ transaction only. Paid directly through credit card, convenience store or bank transfer are not included.